With more hits in the form of “Mustang Sally” and “Land of 1000 Dances”, and his trademark throaty voice and impassioned delivery, Pickett solidified his place in musical history. Soul legend Wilson Pickett died of a heart attack today at the age of 64. According to his management company, Pickett had suffered health problems for the past year. Born in Prattville, Alabama, Pickett started out by singing gospel music at church. He moved to Detroit while in his teens, and joined the Falcons, with whom he recorded a hit, “I Found A Love”, in 1962. Striking out on his own, he began to develop a successful career as a solo artist. 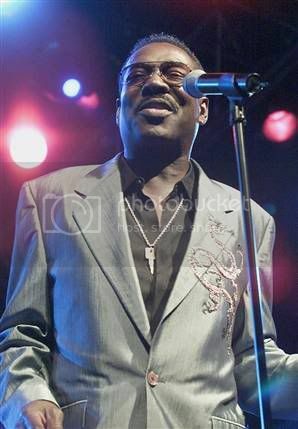 He landed at the legendary soul label Stax Records in Memphis in the mid-sixties, where “In The Midnight Hour” was born. With more hits in the form of “Mustang Sally” and “Land of 1000 Dances”, and his trademark throaty voice and impassioned delivery, Pickett solidified his place in musical history. His career flourished throughout the sixties and early seventies, and when his recording career hit a decline with the advent of disco, he continued to tour successfully. Beset with legal and personal problems in the 1990s, Pickett was inducted into the Hall of Fame in 1991 and was awarded the Pioneer Award by the Rhythm and Blues Foundation in 1993. With his songs covered widely by other musicians and his distinctive sound a permanent part of the sixties, Pickett’s place in musical history is secured.